I love food, science, photography and creating new recipes and I am a firm believer in low-carb living and regular exercise. As a science geek, I base my views on valid research and I have first-hand experience of what it is to be on a low-carb diet. Both are reflected on my blog, in my apps and cookbooks. I currently live in the UK. I hold a degree in Economics and worked in auditing, but I have always been passionate about nutrition and healthy living. That’s when I decided to quit sugar, grains, and processed foods, and to start following a whole-foods-based low carb approach to food. My mission is to help you reach your goals, whether it's your dream weight or simply eating healthy food. Low-carb diets are an invaluable tool in dealing with health conditions such as obesity, diabetes, metabolic syndrome, lipid disorders, epilepsy, and increasingly, cancer. Martina's work, including her blog, book and apps, have been real gems for the low-carb community. Her real-food approach and attention to detail sets her work apart from many others. Prof. Eugene J. Fine, M.D. Professor of radiology (nuclear medicine) at the Albert Einstein College of Medicine, ketogenic diet and cancer researcher. Ketogenic diets have shown great potential in weight loss, overall health and cancer treatment. Martina's valuable contributions to the low-carb community and her involvement in the cancer research project run by our team extend beyond simply helping people follow a healthy low-carb diet. Just like Martina's blog and app, her new cookbook is an amazing resource for anyone interested in healthy living with easy to follow recipes and beautiful photography. Cancer biologist at the Albert Einstein College of Medicine, ketogenic diet and cancer researcher. Martina is an incredibly talented and innovative food blogger whose low-carb creations taste as spectacular as they look. She's also dedicated to providing accurate, reliable information to people interested in following a healthy, carbohydrate-restricted lifestyle. I'm eagerly awaiting the publication of this book and know that her many fans feel the same way. Author of The Low Carb Dietitian's Guide to Health and Beauty. With The KetoDiet Cookbook Martina has really outdone herself. This book is filled with an amazing array of tasty recipes. I especially love the full macronutrient breakdown with each recipe (fat/protein/carbs). This is an invaluable resource for anyone living a low carb high fat lifestyle. Author of The Ketogenic Cookbook: Nutritious Low-Carb, High-Fat Paleo Meals to Heal Your Body. 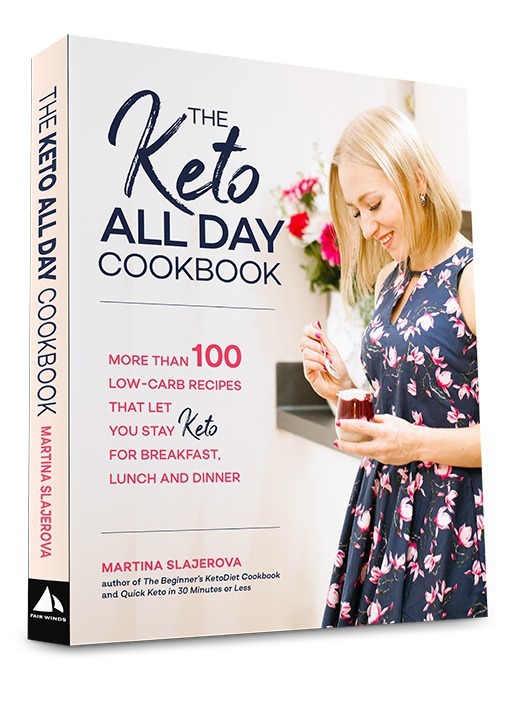 You’re in good hands with Martina Slajerova and the Ketogenic Diet Cookbook. Not only are her recipes reliable and true to the keto way of life, but they are mouthwateringly delicious. Lifestyle change is hard, but Martina makes it so much easier. 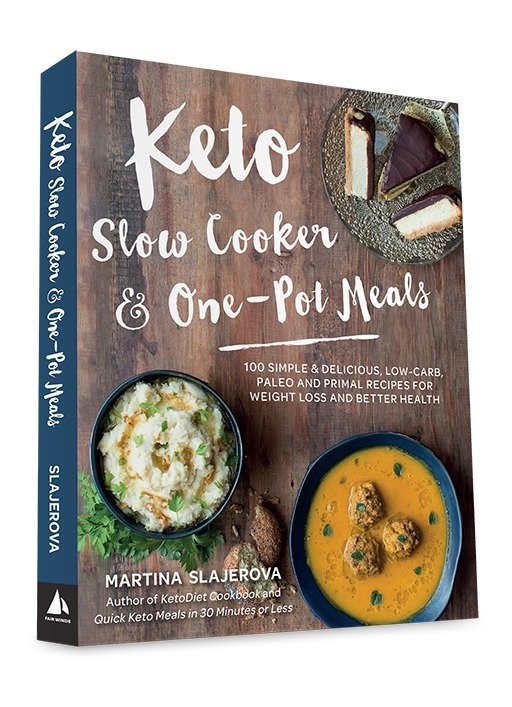 Martina’s newest cookbook is not just a comprehensive guide to eating for the ketogenic diet, it is also gorgeous eye candy! It is sheer pleasure just to browse through her gorgeous photographs, wile you drool over the delicious recipes. I love Martina’s recipes especially because they are made with wholesome, real food ingredients, and she is very knowledgeable on how to best source ingredients so they are both tasty and health building. Every recipe is explained clearly and well organized, so you can always get great results when making them at home. 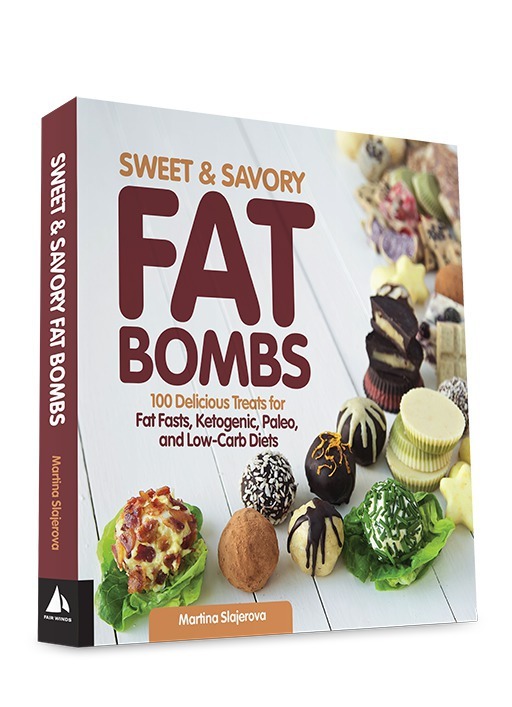 If you are following a keto or low-carb lifestyle this book is a must have! Creator of Thenourishedcaveman.com and The Healing Foods Method. 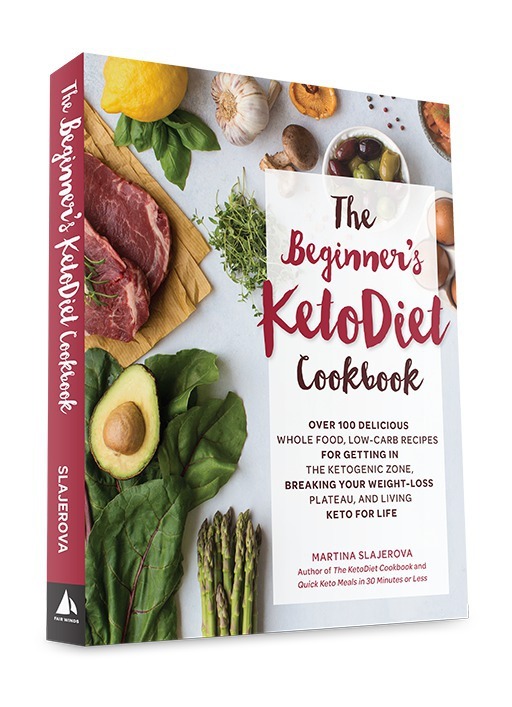 Martina's popular KetoDiet blog has been a wonderful resource for those following a healthy paleo/primal low carb diet. Not only does she provide a wealth of information for successfully implementing a ketogenic diet, but also shares many of her own delicious low carb recipes. Her recipes have become staples for those seeking low carb alternatives for their favorite foods. 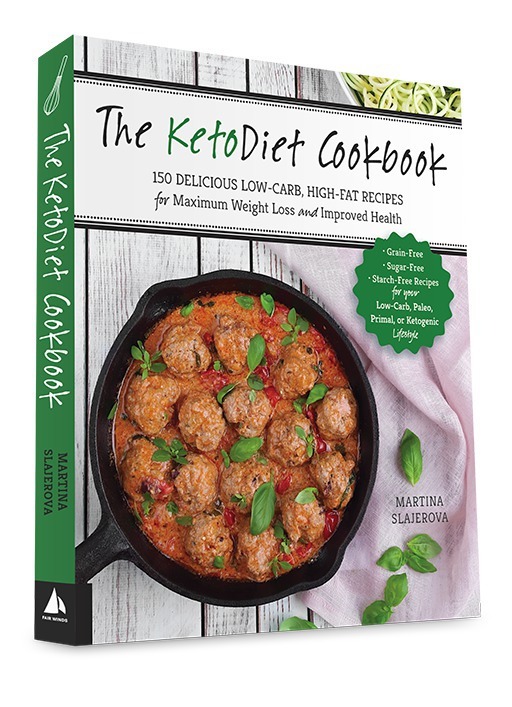 This cookbook with 150 new keto diet recipes is a must for any low carb cook's collection. As a fellow blogger, I have known Martina for a couple of years. I have been thrilled to see her remarkable development to one of the leading bloggers in this niche. I am delighted to see that her new cookbook is really impressing! 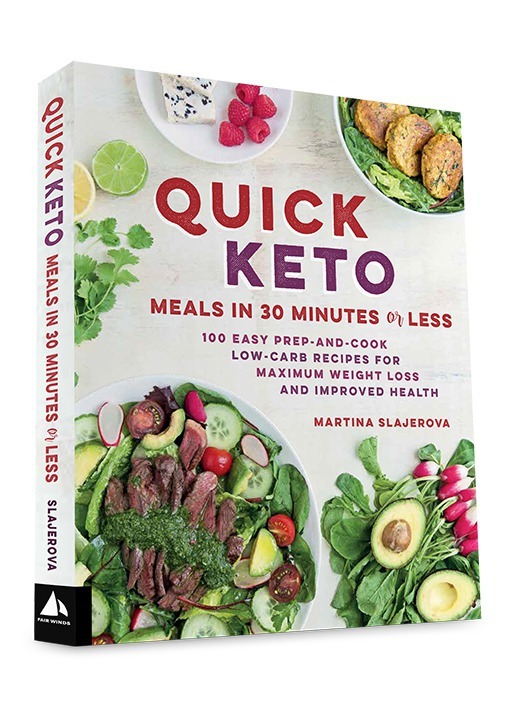 With its amazing quality, the book simply stands out from the grey crowd of the numerous low-carb and ketogenic cookbooks. That’s why I am happy to recommend the book to anybody who seeks the latest information about healthy nutrition and the best, carefully developed ketogenic recipes.